It's that time of the year again! I've compiled a list of items that are perfect for the pole and aerial fitness enthusiast in your life. 1. Always a must, never enough! Check out the new Bad Kitty Nudes collection for the avid performer or a sense of tranquility for your workouts. Pieces range from $24-$34. 2. You can never go wrong with getting your favorite poler a pair of shoes! Bad Kitty has an assortment of shoes available on their website ranging from $37-$100+. Not a fan of ordering shoes online? You can always pick up a pair or a giftcard to your local adult novelty store that stocks Pleasure USA and Elle brand footwear. 3. Giftcards to your poler's favorite local studio so she can get some dance time in post holiday! 4. If your poler prefers to workout at home, there are many options now available for him/her to continue their studio quality workouts in the comfort of their own home. 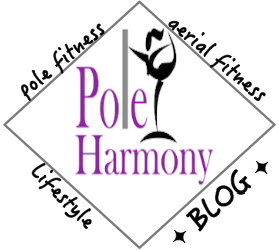 Cleo's Rock N' Pole site is a great site full of amazing and unique workouts. Memberships range from $24.95 USD monthly to $199.95 annually. 5. Make your own pole or aerial specific gift basket full of pole and aerial specific goodies. Items you can put in the gift basket include: Epsom Bath Salts, Grip Aids, Leg Warmers, Leggings, Facial Masks, Hair Ties, Arnica Gel for bruise relief, Chapstick, Protein Snack Bars, and/or a new Water Bottle. November Pole AND Aerial Challenges 2016!